In this month’s animation tutorial Steve Edge shows you how to give your animations the ‘wow’ factor by adding the hover technique! To celebrate the launch of the Gromit Unleashed arts trail in Bristol, we’ve got some new Gromit film kit assets for you to use! 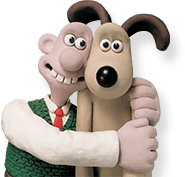 Download them now to start creating your very own Gromit film!